NEW DELHI: Congress veteran Mallikarjun Kharge took a jibe at Prime Minister Narendra Modi saying the government treated him like Lord Brahma and only he knew when the winter session of parliament would be convened. “I spoke to ministers, Speaker Lok Sabha and secretary general… no one knows… only one person knows whom they treat like Lord Brahma and who is the creator. Only when Brahma orders, the dates would be known,” Kharge, leader of the Congress in the Lok Sabha, said sarcastically. 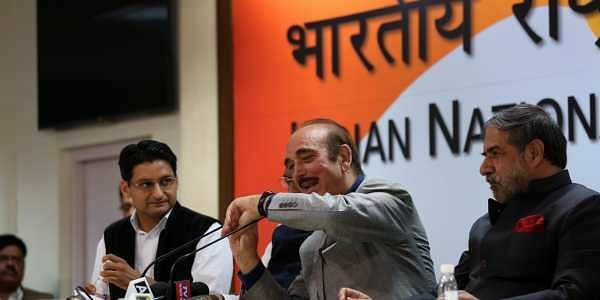 Kharge and Leader of Opposition in the Rajya Sabha Ghulam Nabi Azad accused Modi of running away from Parliament as he was afraid to answer questions on corruption in the Rafale fighter jet deal, extraordinary profits of BJP chief Amit Shah’s son Jay Shah, unemployment, and a faulty GST. Prasad said there had been occasions in the past when the Winter Session of Parliament been called on different dates. SPG protectee, he could use defence planes. Congress lawmaker Deepender Hooda said the government was ignoring the rural distress forcing farmers to protest in the national capital.